This past weekend, I spoke at the Sioux Empire Christian Home Educators Convention. I have spoken there at least twice before, and I have not been disappointed. This weekend was no exception. I met a lot of really interesting people, including one second-generation homeschooling mother who was pregnant with her middle child at the same time her mother was pregnant with her youngest sibling. What an incredible experience that must have been! In contrast to that situation, I had a nice, long talk with a gentleman who related his adoption story to me. Being an adoptive father myself, I am always interested in hearing such stories, but this one was unlike anything I had heard before. He and his wife had several children of their own, but they are all grown up and out of the house. Because he and his wife had “extra time” on their hands, and because they genuinely wanted to serve “the least of these,” they decided to become emergency foster parents for babies who are abandoned. In that role, they care for the infant until he or she can be permanently adopted. He told me that it doesn’t usually last very long, because lots of people are looking to adopt infants. However, one of their emergency foster children (a little girl) had serious digestive issues pretty much at birth and spent a long, long time in the hospital. In fact, the poor little girl had to have a lot of her small intestine and all of her colon removed, which meant she couldn’t eat normally. Essentially, she had to be continuously fed through a tube. This made her long-term prognosis questionable, and as a result, the agency could not find a permanent home for her. After much prayer, he and his wife decided to adopt her. The good news is that the girl is now 3 years old, and while she still has some special nutritional needs, she can eat normally. However, because of the way she got nutrition for so long, she actually doesn’t like to eat. Thus, they are working on getting her to enjoy eating. I rejoiced with him that his daughter’s long-term prognosis is now very good, and eventually, the conversation turned to the effects that an adopted child’s previous traumas have on her future life. On that topic, he offered me a profound insight. Imagine that from the time you are born, you are put in a lonely room. Most of the people who interact with you cause you pain. They stab you with needles, they put tubes up your nose, they cut you open, etc. Of course, they are helping you, but you don’t know that. So you kick, scream, bite, and fight, but it doesn’t matter. Every now and then, someone comes in and holds you, talks lovingly to you, and sings to you, but those times are rare compared to the other times. What do you think that does to your view of the world? I was stunned. Of course it’s nonsense to think that children “forget” the trauma they experience just because they are infants. He went on to describe the current behaviors his daughter has that can be traced directly to her hospital experiences. I am just so glad that he and his wife are slowing convincing this young girl that there is love in the world for her! 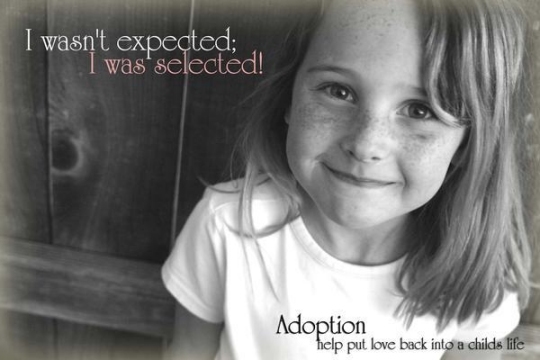 Interestingly enough, I learned about another adoptive parent at the conference, but he isn’t someone I have ever met. His name is Larry Alex Taunton, and he is a journalist who began the Fixed Point Foundation, a Christian apologetics organization. Over the years, his organization has arranged several high-profile debates between Christians and atheists. He recently wrote an incredibly interesting book entitled, The Faith of Christopher Hitchens. It is about his close friendship with one of the world’s most prominent New Atheists. I plan to review that book at length, perhaps in my next post. However, I wanted to relate his adoption story as well, since it also involves a young girl who faced medical issues. This simple statement echos my thoughts when it comes to my adopted daughter, Dawn. I mentioned the statement to the man I discussed previously, and he heartily agreed as well. I am not saying that all adoptions are blessings; I am just saying that the three of us feel that way. While Christopher Hitchens can’t imagine why any of us would adopt children with trauma in their past, I can explain it easily. Christ tells us, “…to the extent that you did it to one of these brothers of Mine, even the least of them, you did it to Me.” (Matthew 25:40b) Because we love Christ, we love our adopted children, regardless of their past trauma. If you have contact with the family with the 3 year old who doesn’t enjoy eating, we have a Facebook group for adoptive parents with children who have an oral aversion. It is hard to find people who have experienced this. We’d love for them to join us. They can search oral aversion on Facebook or friend me if they are interested. Thank you very much, Maria. I will let him know!